Yes, it’s as if it’s just fallen down from heaven. 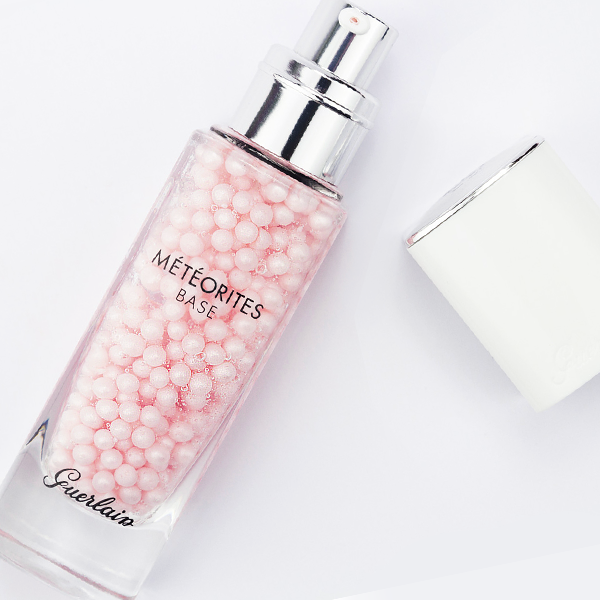 And yes, you’re going to want to add the Guerlain Meteorites Base into your make-up routine. Excuse me for being an enabler, but this is one celestial secret that I cannot keep to myself any longer. Remember that feeling of buying your first pair of heels? Or maybe that feeling of when you used to ‘borrow’ your mum’s makeup and feel like a complete grown up? As soon as I dispensed the first pump of the Meteorites Base into my palms, all of those ‘kid in a candy shop’ feelings came back to me. A primer of sheer luxury, I believe that every girl in the world deserves to feel this way when applying her daily makeup routine. Whether it’s the delicate scent of Parma Violets or the luxurious packaging that does it for you, the Meteorites range is more than just a pretty face. 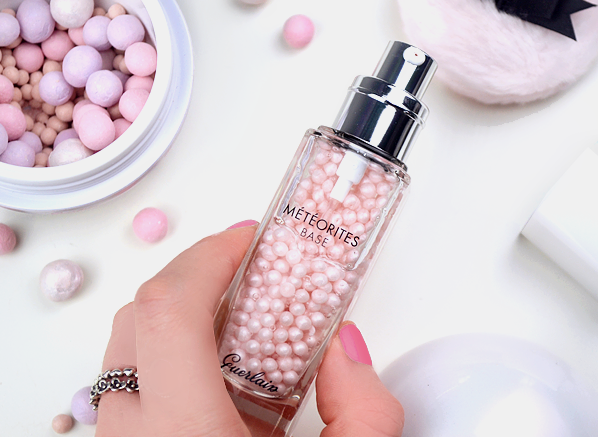 For those who haven’t tried this beauty collector’s favourite yet, Meteorites is all about creating ‘the perfect illumination for your skin’. Infused with star-dust technology (how cool?) it’s as if by magic that its clever reflective particles are able to blur, highlight and balance your complexion in a single application. I’m talking a subtle airbrush without the need for Photoshop – Guerlain have really nailed ethereal elegance with the Meteorites collection. 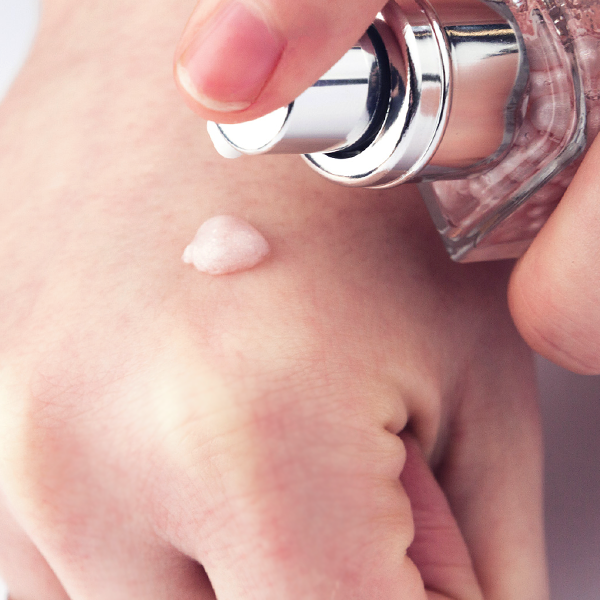 The best thing about a radiant primer? It breathes new life to your skin. The only way to describe the glow achieved would be to reference the Victoria’s Secret End of Year Show, think angelic complexions with healthy, dewy finish. As well as prolonged makeup happiness, this anti-dullness base glides over your complexion with its refreshing gel-like texture. This way, it fills in any uneven areas of your skin to create a perfectly even canvas for your healthy-looking masterpiece. Don’t panic, it’s not sticky! The Meteorites Base is surprisingly matte, which I love! As an oily skin sufferer I tend to avoid radiance, but this light reflecting primer lets me have the privilege of a lustrous complexion. We know all primers work to prolong your makeup by smoothing over your complexion to reveal a soft, even base for your foundation, concealer and powder. But in the Power League of primers, I would say that the Meteorites Base definitely has that special something. Ticking all of the boxes above, it also goes out of its way to cater to the tone, texture and finish of your skin. As I mentioned above, the unique star dust technology provides your skin with lightweight illumination that cleverly works to reflect light away from your face, giving your complexion a subtle and soft focus. 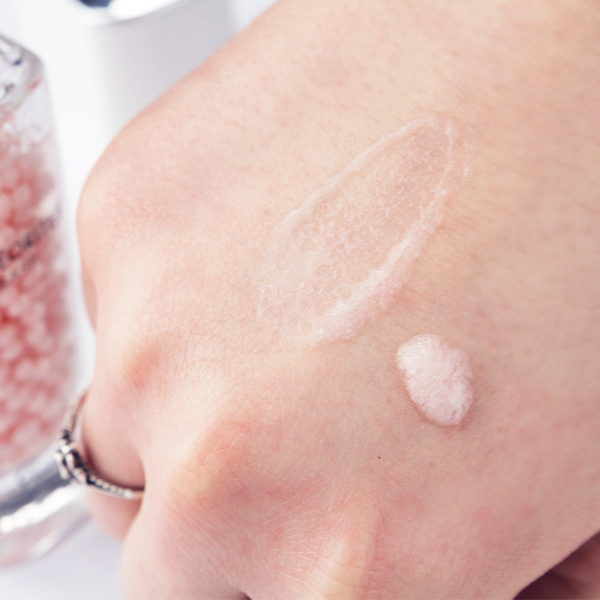 In addition, its colour correcting pearls burst on your skin to instantly diffuse any dull tones in your complexion. Wear alone for gorgeous, glowing skin or wear underneath your foundation for a pretty angelic finish that’s perfect for all skin types. If you’ve got dry skin, mature skin or normal skin, the divine dewy finish and hydrating formula will give your skin a new lease of life. Not forgetting oily and blemished skin types, its mattifying blend of miracle powders absorb excess oils whilst blurring the effect of blemishes with that extremely forgiving light reflective technology – yes please! Have you fallen in love already? If not, Get rid of the ‘I don’t have time for another step’ thoughts. Take a big sip of your morning coffee and get applying! Just think of the powdering time you’ll save on your lunch break. With the show stopping power of the cult-favourite Meteorites technology and the magic of a prolonging primer, your complexion is set for complete stardom from the get go. Are you ready to get your glow on? What are your thoughts on the new Meteorites Base? I would really love to know if it’s something that’s made it on to your lust list! I’m over at @EscentualChels if there’s anything I’ve left out, pop me a tweet to find out more! This entry was posted on Friday, February 19th, 2016 at 9:00 am and is filed under Brand Focus, Make-up, New products. You can follow any responses to this entry through the RSS 2.0 feed. You can skip to the end and leave a response. Pinging is currently not allowed.